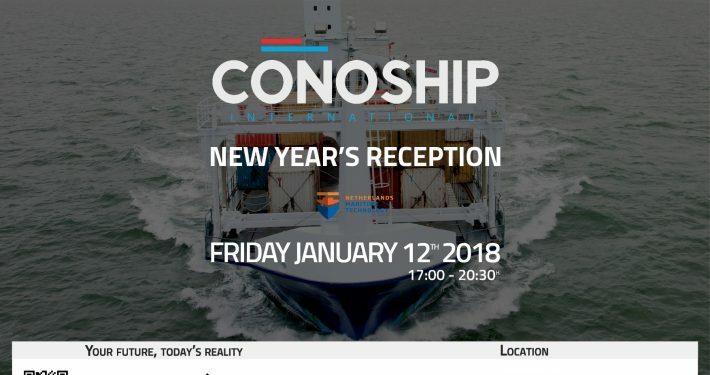 Conoship New Year’s Reception 2018: New concept, Same success! 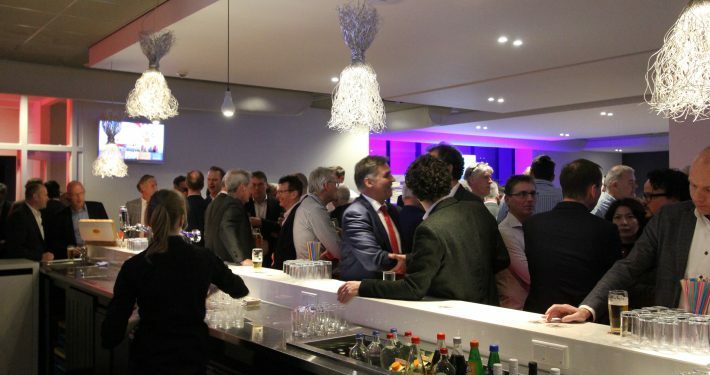 Last Friday (January, 12th) the annual Conoship New Year’s Reception took place at MartiniPlaza in Groningen. 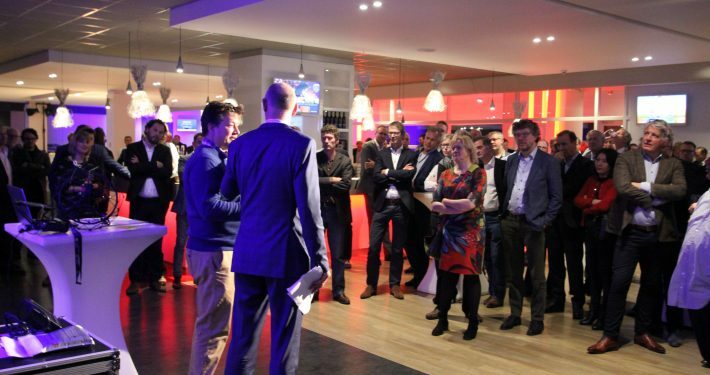 A new concept of pitches of young start-up companies was with a high turnout of 200 till 250 people a great success! 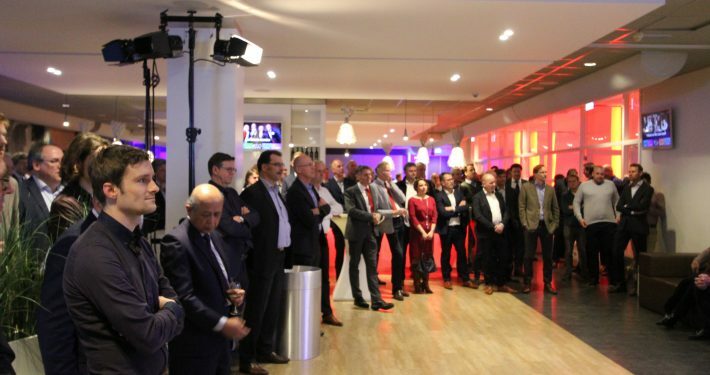 After the New Year’s speeches of mr. Geert Dokter (managing director of Conoship International) and mr. Bas Ort (chairman of NMT) five start-up companies showed their potential in a 5 minute pitch to present their current ideas and reality about what could be the future of maritime related companies. 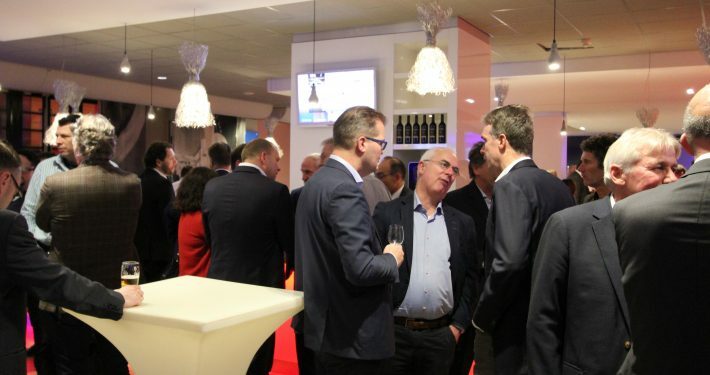 At the end of this news release you will find a brief desciption of the companies. For Conoship the reception was a great success, positive comments during and after the reception. Therefore we would like to thank the Netherlands Maritime Technology (NMT) for their cooperation in realising this success. 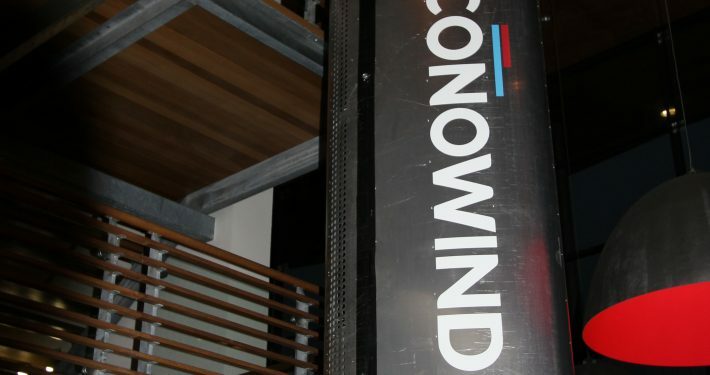 eConowind is our solution for fuel and CO2 reduction for existing and newbuilt vessels in the near future. A “plug-and-play” removable containerized unit which can deployed on your demand. The first calculation results show a reduction up to 20% of fuel and CO2 with four units. The Dutch Solar Boat is World Champion Solar 1 Ocean Race, World Champion Dutch Solar Challenge, Dutch National Champion Eneco Race. 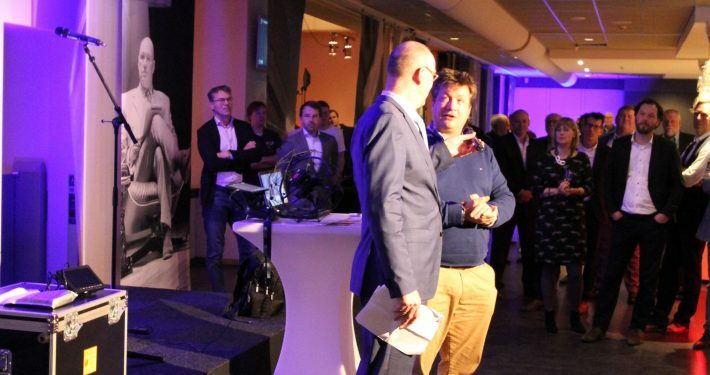 A brief listing of the results of a Dutch solar boat team of young professionals contending every year in the World Cup of Solar powered boats. Alongside the races, Dutch Solar Boat designs and builds electronic drivetrains for several boats and makes highly efficient lightweight solar panels. At Apollo Journey, we create Virtual Reality (VR), Augmented Reality and Innovative Design Applications. We believe in co-creation and together we shall realize your digital dreams. We will be creative and we will be adventurous. Atmos UAV designs and manufactures high-end reliable aerial data gathering solutions for professional users. MEET MARLYN, Marlyn is the latest mapping & surveying drone by Atmos UAV, which makes a great leap forward compared to others. By reliably combining helicopter flexibility and fixed-wing performance, Marlyn maps more land in less time, with the accuracy you need. RIMS is a global project and maintenance consultancy to help you revolutionize your maintenance strategy with smart drones and robotic. Our high tech expertise in combination with smart asset management solutions will help you benefit from much safer, more sustainable and cost-efficient surveying and maintenance solutions. Home – Conoship International B.V.